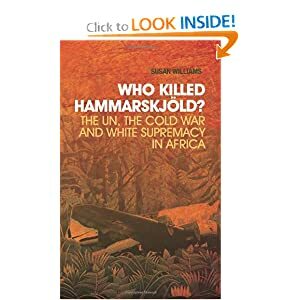 Who Killed Hammarskjöld? : The UN, the Cold War and White Supremacy in Africa. The 20 Most Beautiful Bookstores in the World « Disseminus. I’ve been to Shakespeare & Co. in Paris, but not to the rest. Based on the pictures, I think my favorite is the Cafebreria El Pendulo in Mexico City. Anytime I can combine passions (coffee and reading) it can’t be a bad thing. We are also discussing universal jurisdiction this week, albeit briefly. At Erga Omnes there is an interesting post about Yemen’s amnesty law that is intended to grant President Saleh immunity for any crimes he may be complicit in. This issue underscores the tension between the objectives of peace and stability (giving a President a way out might enable an easier transition), versus justice. A separate issue is whether or not Yemen’s parliament’s grant of amnesty can have any real effect outside of Yemen. As I mentioned in class on Monday, the Supreme Court is hearing arguments this week on two cases Kiobel v. Royal Dutch Petroleum and Mohamad v. Palestinian Authority. These cases concern the Alien Tort Statute, an almost-forgotten law that allows foreigners who violate serious international legal rules and norms to be held accountable in the US. Kiobel involves Shell’s complicity in the torture of Nigerian nationals. Mohamad involves complaints against the Palestinian Authority and the PLO for torture of Mohamad’s father, a naturalized American who was in the West Bank at the time. As Peter Weiss (NY Times h/t my student, Micky Capper) notes, the Supreme Court is faced with an interesting dilemma. On the one hand, in Citizens United it granted corporations certain rights as corporate persons. On the other hand, the Second District Court has said–in essence–that corporations are not individual persons when it comes to the Alien Tort Statute. How will they reconcile these two positions? Will they? 2. The human rights angle. Over at Erga Omnes, the human rights dimension of the case is front and center. Kiobel involves claims against Royal Dutch Shell for its role in the torture of activists in the Niger Delta (or at least helping the Nigerian government in this). Following the excerpts in John Bellinger’s post at Lawfare, it is clear that the issue of extraterritorial application of the ATS is of great interest to the justices. Kennedy seems concerned that the ATS is giving the US jurisdiction that no other country attempts to exercise. Alito is concerned about how this might exacerbate international tensions. Indeed, if international law is going to matter, it does rely on mechanisms such as the ATS. The Obama Administration is in favor of corporate liability in these cases, reports Reuters. Senegal did not fall apart after the elections yesterday, but the presidential race is still unresolved. Unofficially, incumbent President Wade will have to square off with former PM Macky Sall (BBC News). Also on Sunday, French Foreign Minister Alain Juppe was in Mali, admonishing them to negotiate with Tuareg rebels (Reuters). Finally, Niger’s government warned its people they could be targeted if they travel to Libya. Niger is refusing to extradite Gaddafi’s son Saadi. Some of the same instability with rebels that Mali is experiencing may also be a problem for Niger. (Reuters). Erga Omnes: This is a blog by Sonia Cardenas, Director of Trinity College’s Human Rights Program. (h/t Kevin Heller at Opinio Juris). Senegal is at a “critical historical juncture” today, writes Alpha Diedhiou. President Wade’s “unfortunate” (that was the U.S. Ambassador’s word for it, according to NPR this morning) decision to stand for reelection has challenged the peace of this otherwise stable and solid democracy. The poll is on Sunday. “The BRICS want a BRIC Bank”. The proposal is said to originate with India. Also significant is that South Africa is part of this. It can been be seen in light of the BRICS’ desire to counter the weight of the West in the IMF and World Bank. Sahel Blog has a nice “Roundup of Reactions to the London Conference on Somalia.” Kenya’s Foreign Minister Moses Wetangula sums up the real worry” “We hope it’s not going to be the usual talking shop”. Duncan Green plugs Getting Somalia Wrong. I haven’t had a chance to read this yet, but it does look useul. 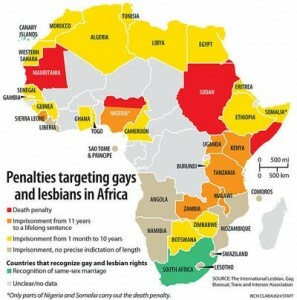 Liberia: “Kill the Gays” Bill Spreading. Obviously, this is not good. 1. This begins with a discussion by Oona Hathaway, Sabria McElroy, and Sara Solow about their article: “International Law at Home: Enforcing Treaties in U.S. Courts.” Much of that discussion focusses on the Medellín case we read about. Specifically, they aim to understand how that decision impacts the enforcement of international law in U.S. courts and they offer proposals for strengthening enforcement of international law. 4. Finally, and most recently,Vladek blogged on “Self-Execution Beyond Treaties”: Enforcement of both domestic and international obligations is becoming more problematic. I meant to write up a summary of the recent summit activity on the continent but never got around to it. Fortunately, Alex Thurston at the Sahel Blog, did it for me: “Summits around the Continent”. But as Business Insider noted this week, the outcomes of such referendums can be quite odd: “10 Weird Examples of the Swiss Referendum System in Action.” They have added work-free holidays, disallowed the construction of new minarets, but rejected a ban on fighter jet noise in tourist areas. – Thanks, Kathy for the link! The real solution to Somali piracy lies with a partnership between NATO navies and European commercial interests. NATO needs to prevent international exploitation of Somali fishing waters while also patrolling defined maritime corridors. Higher insurance rates would induce international vessels to stay within these corridors. Ships should also employ self-protections, such as safe lock-in rooms for the crew, so that NATO patrol vessels can reach them before pirates force them to surrender. Finally, the focus should be on capturing those who plan and fund piracy, more than on the young-men who board the ships. Finding the organisers could start with tracking how piracy is financed and how ransoms are distributed. These solutions suggest that it is indeed in the financial hub of London, not just along the coasts of Puntland, that Somali piracy must be tackled.